If building new websites is in the virtual world what construction is in the physical world then Butler Automotive Group has remodeled! 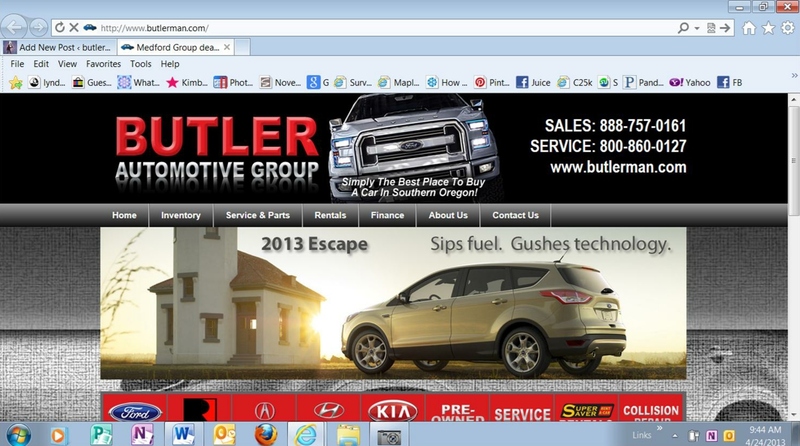 In the spirit of a grand opening we invite you to vist our new websites: www.butlerautogroup.com, www.butleracura.com, www.butlerford.com, www.butlerhyundai.com, and www.butlerkia.com. You can search our inventory, learn about our staff, make appointments for test drives or service, and even apply for financing! We’re in love with the sleek new look and easy navigation. And while, as with any renovation, we’re still working out some bugs, we think the new sites will serve you well! Enjoy!